I want to make sure all my FB friends that visit this page know about my website at pinevalleypress.com. In the catalog section I have been trying to add mp3 recordings of any many of my pieces as I can even those that are not available on CD. Unfortunately I am not writing any more, but I have a large body of work that I hope is still of interest. Performance materials for most works are available. 7 months 4 days ago. 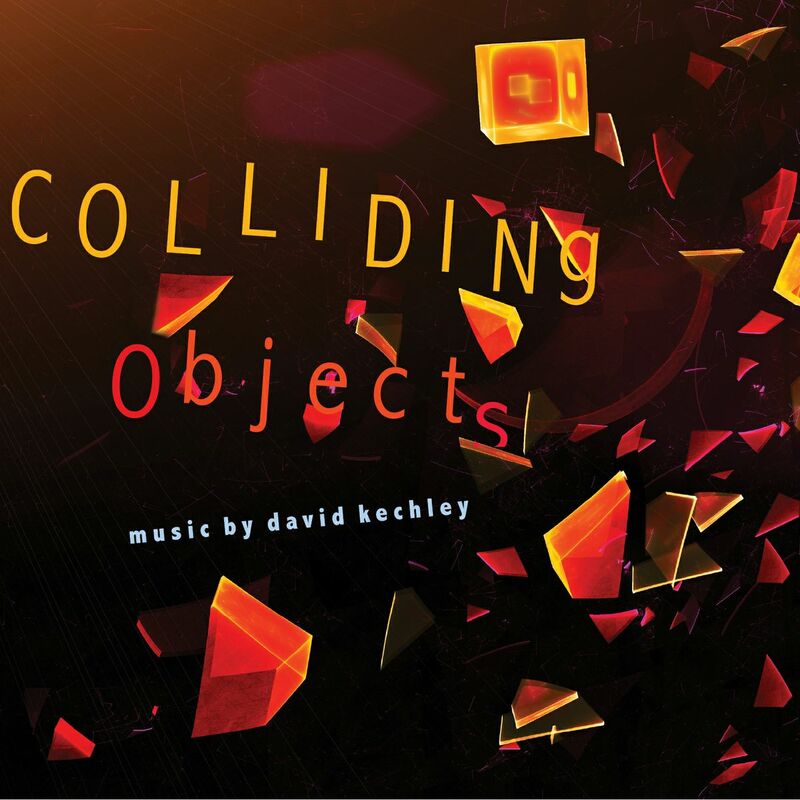 The idea of percussion and rhythm is written directly into the title of David Kechley’s new album, Colliding Objects. The result is not a random dodgem car experience, but rather a set of precise, tactile works focused on the places where things connect: where the mallet hits the marimba, where the stick strikes the drum skin, where the tongue flutters on the reed. An award-winning composer, Kechley here collects works spanning almost three decades, from “Dancing: Four Movements for Five Percussionists playing Forty-four Instruments” (1982) to “Untimely Passages: A Slow Groove & Chaconne for Marimba & Flugelhorn” (2011). Throughout, Kechley mines the intimate in order to find the dramatic, eschewing volume and mass in favor of tension and melodic invention. Sometimes downright bouncy. This extends even to the instrumentation, which includes creative percussion such as circular saw blades and pine planks cut to different lengths in “Design and Construction” or the pitched gongs, crotales, woodblocks, and exotic bells of the title track. Kechley’s immediate and dynamic work has been recognized by a 1979 Guggenheim Fellowship, grants from the National Endowment for the Arts (1976, 1979), and commissions from the Barlow Foundation (1998) and the New England Orchestra Consortium (2004). His works have been commissioned and performed by the Minnesota Orchestra, Boston Pops, Cleveland Orchestra, Seattle Symphony, Louisville Orchestra, United States Military Academy Band, Kronos String Quartet, Lark Quartet, Minneapolis Guitar Quartet, Vienna Saxophone Quartet, among many others.